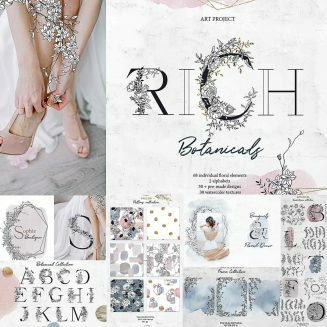 Set of 68 single botanical illustrations, 2 styled sets of monograms, 8 floral arrangements, 6 crystal frames, 30 watercolor textures and backgrounds, 6 seamless patterns and much more. There are a lot of individual elements: flowers, monograms, watercolor shapes and textures, patterns. And a big variety of ready-made graphics: frames, compositions, arrangements, seamless patterns. File format: .eps, .png, .ai for Photoshop or other software. 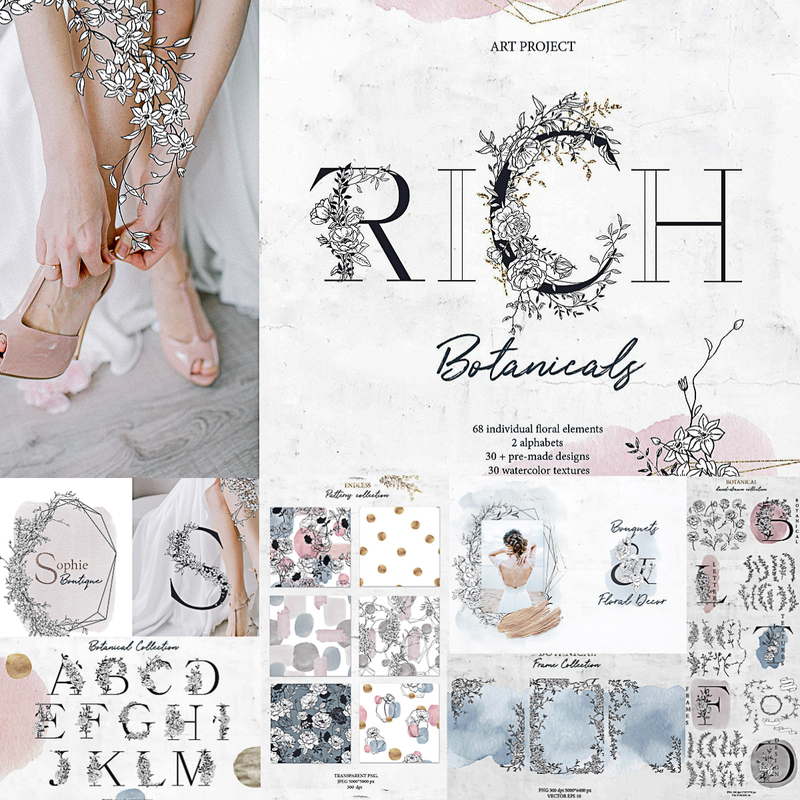 Tags: botanical, composition, feminine, floral, flower, frame, monogram, rich, seamless pattern, texture, watercolor, watercolor shape.